STOP Drowning in Your Day! I reach the end of my day and don’t feel like I have done enough. My day feels so overwhelming that I don’t even know where to start so I just give up. I spend my days doing laundry and to-do’s and never get any quality time with my family. I work all day so I have to no idea where I am supposed to fit things like exercise and God time. Time. It is valuable to us. We desire to spend it well and to the fullest. Over this last year I have worked with over 80 clients and I have realized in talking with everyday women that simply creating a schedule for the day is not effective. Even the best minute by minute planners fall short because we can never anticipate the ebbs and flows that might come our way. 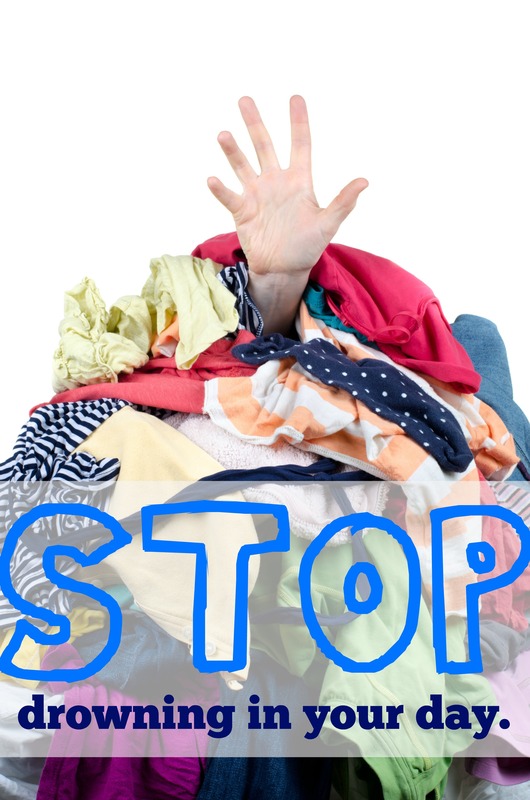 Ex: I couldn’t have planned that my son would have an accident last night and wake up around 4 a.m. throwing off the “normal” times we do things plus adding in two rounds of laundry that were not planned for the day. Rather than creating a schedule create a rhythm. Rather than creating a to-do list create a non-negotiables plan. 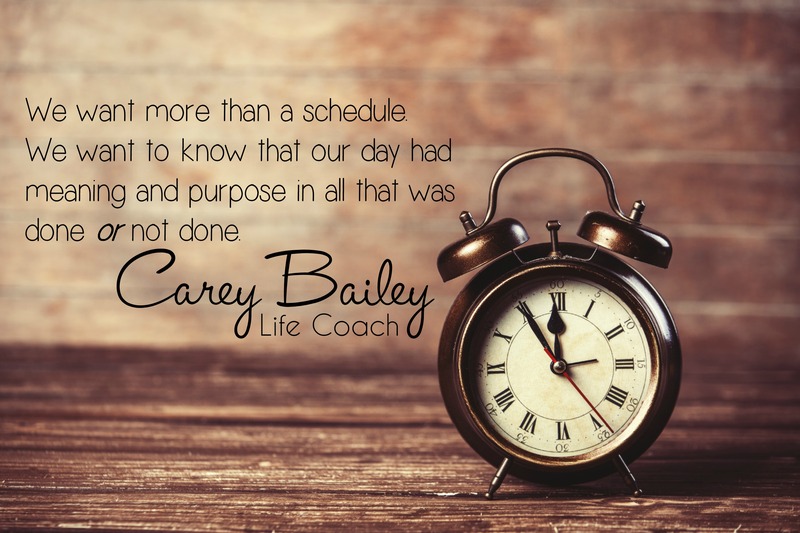 Rather than creating a minute by minute calendar focus your efforts on pockets of time. Rather than simply surviving your day design a day based off your core values. I believe and I have seen through clients that effectiveness, meaning, and purpose come once your time and your core values are connected. Are yours connected? Over this past year I shifted from working outside of the home to working inside of the home with two kids as partners. My time and I how I used it became a major roller coaster for me when I first started. I had to quickly make major adjustments about how I viewed my day. I started to think about time in the context of pockets. Each pocket of time (between 2-3 hours) can only fit so much before it over flows and breaks. Once I started making conscious decisions, that aligned with our family values, about what I placed in my pockets I was able to end my day with a WIN! This allowed me to start helping clients who were facing struggles with their daily purpose create a Pocket Plan. Creating a Pocket Plan allows you to STOP! over stuffing the day with things outside your priorities and start living out a day that gives you room to feel alive. 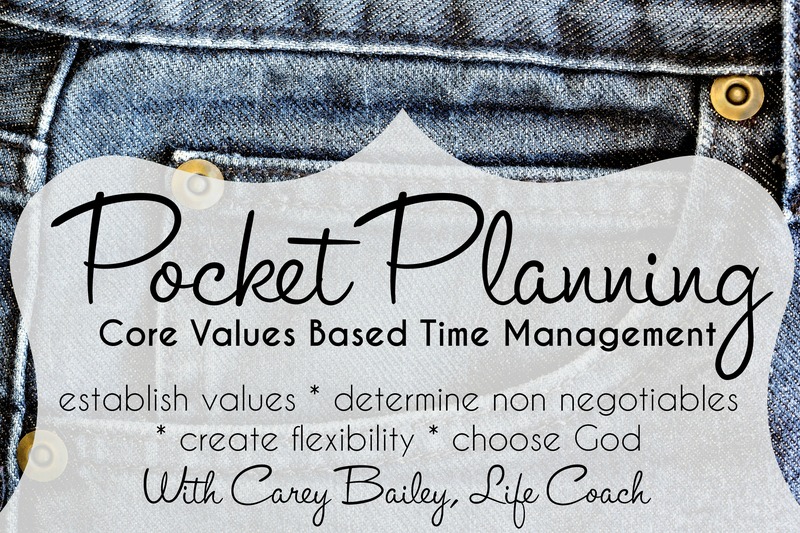 With Summer our schedules can tend to be a bit more free flowing but if you are already starting to dread the school year coming and heading back to a life of scheduling I want to offer you the opportunity to find freedom and get ahead of the game by creating a pocket plan. So how does Pocket Planning Work? Determine your core values and define why those values are critical to you. Create a list of five non-negotiables that will create the foundation for your day. Develop a rhythm for your day that syncs with the above and leaves room for flexibility. Give you confidence to lean on God as the ultimate source of strength in your day. This is typically a $120.00 package but for our Summer of Joy series goers I am going to put it out there for $70.00. That is the biggest discount I have ever done. I truly want this for you!!! Schedule your first session here. Make a choice. Steward your day wisely. Please let me know if you have questions. I am happy to answer them.